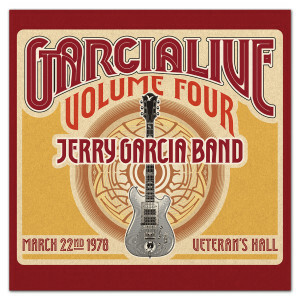 GarciaLive Volume Four: March 22nd, 1978 Veteran's Hall highlights an oft-requested Jerry Garcia Band line-up featuring Jerry, John Kahn, Buzz Buchanan, Maria Muldaur and Keith & Donna Godchaux. Falling just days after the conclusion of the Garcia band's tour and days before the release of Cats Under The Stars, this intimate performance in Sebastopol, CA showcases a particularly relaxed, vibrant and soulful Garcia Band evident on moving versions of "Mission in the Rain," "The Night They Drove Old Dixie Down," and the gospel standard "I'll Be With Thee." Rocking takes on "Mystery Train," "I Second That Emotion" and "Midnight Moonlight" bring the surging tempos that offer beautiful balance to the performance and showcase the band's tremendous musical range. The performance also marks the first guest appearance from future Jerry Garcia Band keyboardist Ozzie Ahlers. 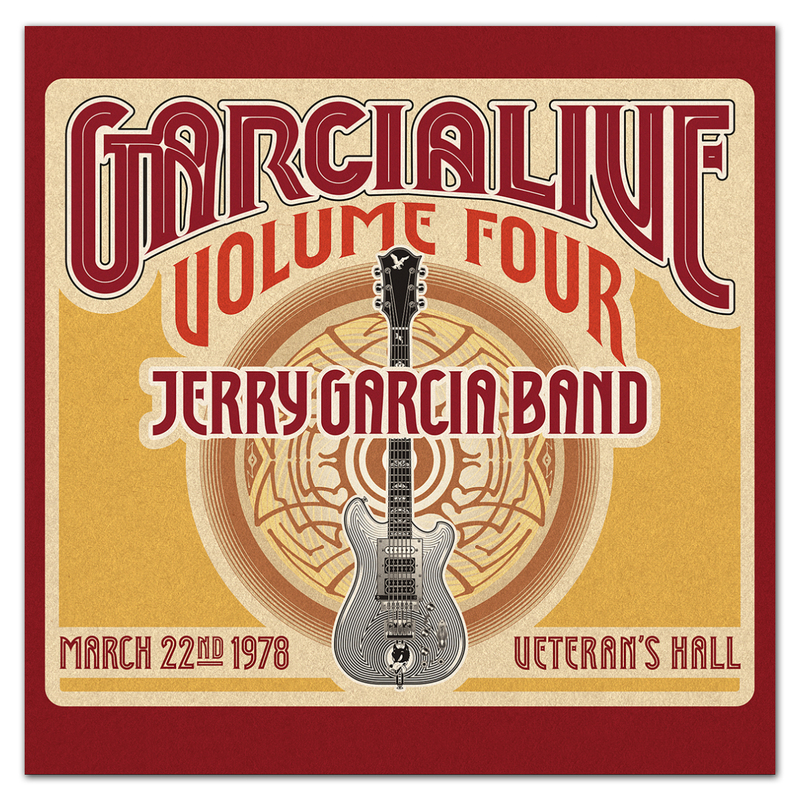 Caveat: GarciaLive Volume Four celebrates an era of the Jerry Garcia Band known for its sweet, soulful and expansive performances. This exemplary performance, as was common for the time, extended beyond the bounds of the original ¼” analog reels missing the final few measures of “Midnight Moonlight,” but is otherwise complete. Listen comfortably with our promise that every effort was made to produce this performance for release in a manner which honors the spirit of its creation.